It was a cold start this morning in the upper 30’s, but the skies were clear and there were some good views. 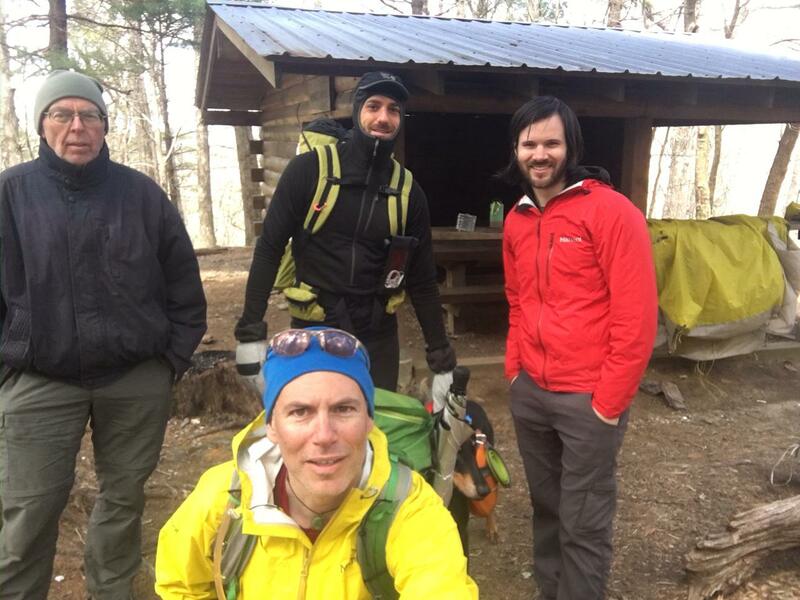 We met another guy named Chris hiking with his dog Greta and stopped at a shelter for lunch where we ate with Pappa Crusty…you can guess who’s who. 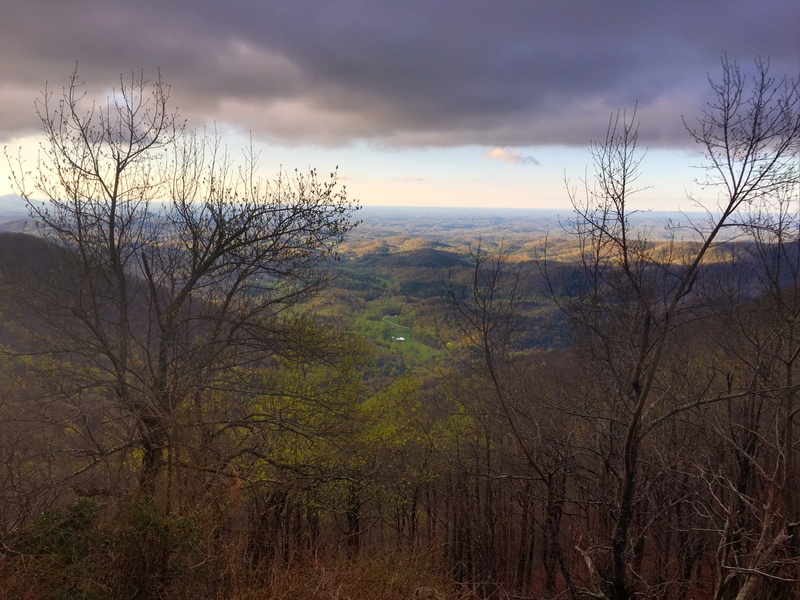 The big climb of the day was to the highest point in Georgia…Blood Mtn (~4500′). 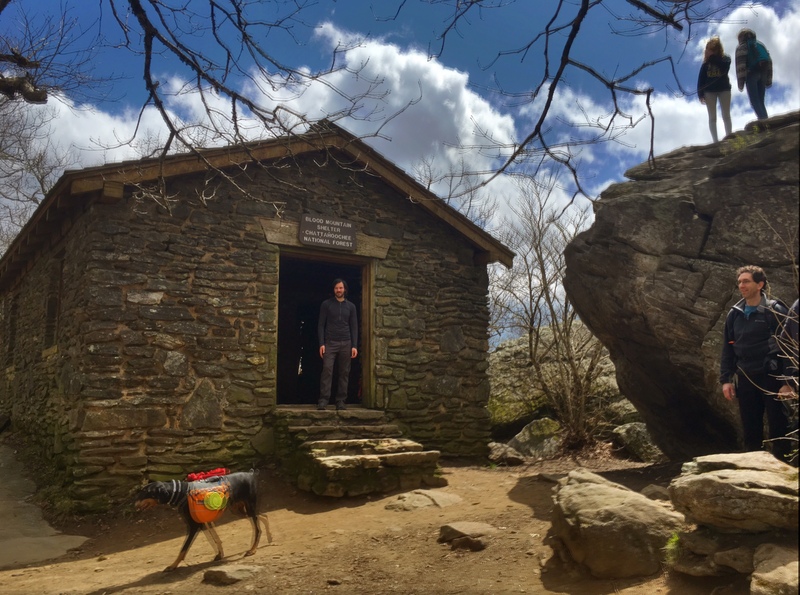 There was this really cool CCC shelter at the top. 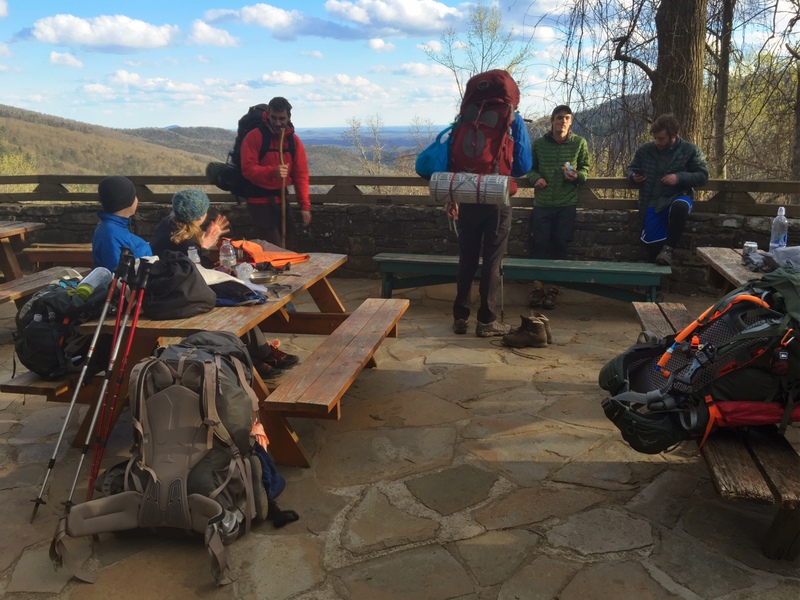 This is the awesome patio/overlook at Neels Gap. There is an outfitter store behind us that sells gear and hiker food and sends home tons (literally) of unwanted gear since so many people over pack. 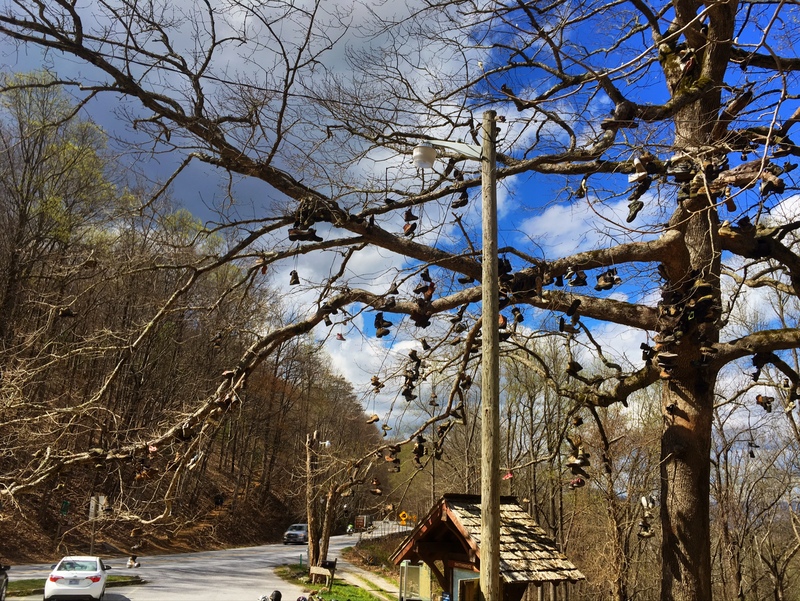 This is the hiker shoe tree out front…brilliant! 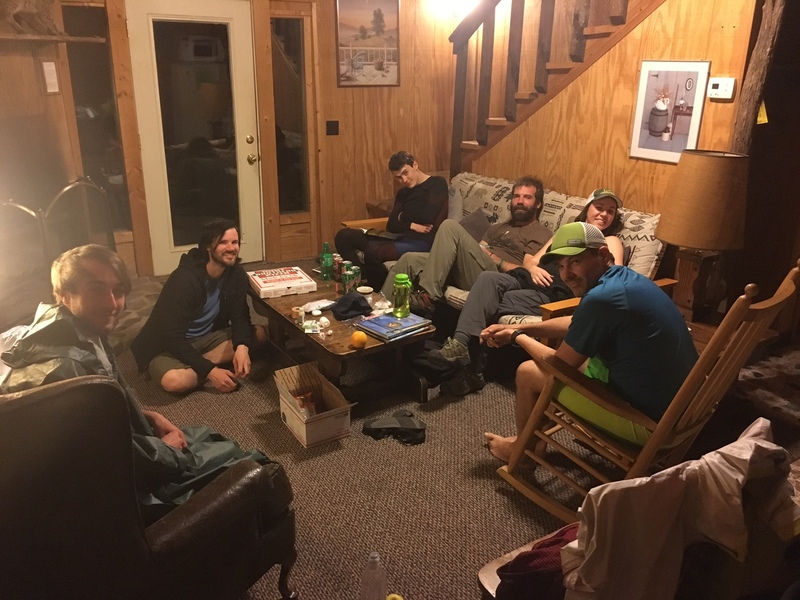 Some of the folks I met decided they wanted to be more civilized tonight and rented a cabin. I’m camping since I’m planning to resupply in town in two days, but o hung out with them for a bit tonight.